Once you start a family your overland travel plans get put on hold for a few years, right? Not necessarily, if you are smart and cautious. 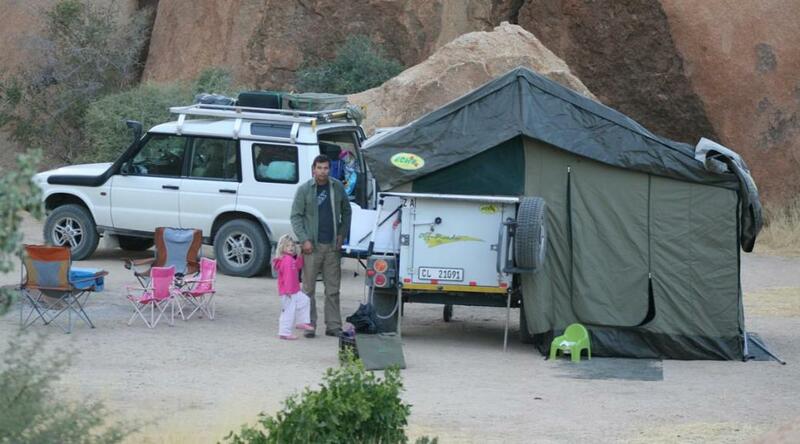 To travel Africa with small children is not a decision to be taken lightly, but it is possible. 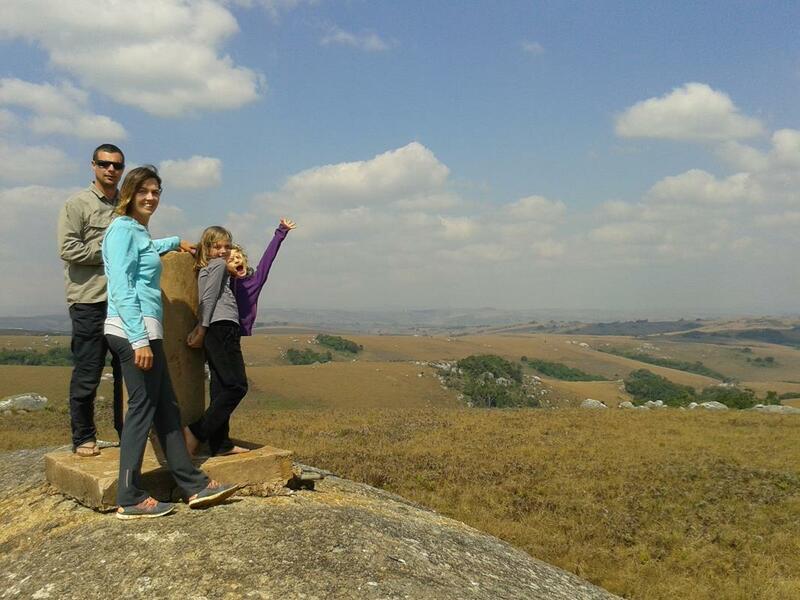 Families who have been overlanding for generations often love the African bush so much that they want their children to grow up with the same appreciation of the wilderness. These children normally learn from a very young age to appreciate nature and wildlife and also respect the dangers associated with it. Many families have safely travelled the parks of Southern Africa with small children under six, knowing that there is some risk involved and taking all possible precautions. These folk have proven that it can be done. However, if you are so uncomfortable with the risks involved that you won’t be able to relax and enjoy your trip, you should not do it. Children who travel Africa from a young age will learn to love the bush. In some sense it may be best to travel with your kids while they are still small, as once they are teenagers they become more dependent on their friends and an internet connection for entertainment. To get into the bush you often have to travel long distances and it can be quite challenging to keep small children occupied in a vehicle. Apart from CD’s with music or stories, there are nowadays wonderful electronic devices like iPads with a variety of apps or DVD’s that can keep them busy. This can also be used at night to keep them occupied in their tent. If you are extremely eager to travel Africa but you are not comfortable with camping with very small children, lodging in wilderness areas is a good option. Also, you may prefer to stay within easy reach of medical help if you travel with a baby or toddler. You should take a well stocked first aid kit with you at all times so that you can treat minor illnesses yourself. It is vitally important to take all possible precautions if you are going to a malaria area. Malaria is most probably the biggest risk of travelling Africa with small children. Second to that are predators like lion and hyena as well as snakes and scorpions. The most dangerous time is dusk to dawn and at this time small children should be either in the tent or under your watchful eye next to the fire. Remember that there are certain nature areas in Africa (like the Kgalagadi Transfrontier Park and most of Namibia) that are malaria free. Some people prefer to avoid malaria areas altogether while their children are young as most doctors will advise you not to take toddlers under the age of five into a malaria risk area. If you go to a malaria area there are certain precautions that you have to take. The most important being to give your children prophylaxis and prevent them being bitten. Mefloquine (dispensed as Larium or Mefliam) is a very effective prophylactic but it is not safe for children younger than three months or if they weigh less than 5kg. Doxycyline is an effective antibiotic, although some resistance in mainly central and western Africa has been noted. As it can have an adverse effect on growing bones and teeth, it is not advisable to give it to children under the age of eight years. Malarone (also dispensed as Malanil) has become the gold standard but it is not to be used by children who weigh less than 11kg. Malarone is extremely effective in preventing malaria and has few side effects, but can be expensive. Consult your doctor or a travel clinic to get the right prophylactic. You still need to take precautions against being bitten by mosquitoes even if you are taking preventive drugs, as the drugs do not fully eliminate the risk. Cover the exposed areas of your child with insect repellent cream or spray that contains DEET and let them put on long sleeve tops and long pants with socks and shoes well before dusk. Ensure your child sleeps under a mosquito net. Spray the tent with insecticide before you put your child to bed and keep the tent zipped all night. 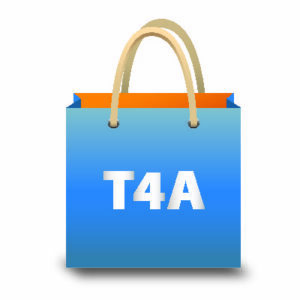 Take Malaria Rapid Test kits along. Kids can often get fever and you have to exclude the possibility of malaria if this happens in a malaria area. Also take Co-Artem which is the WHO recommended treatment for malaria if you are going to remote areas. Check dosage with your doctor. Clothing can be impregnated with permethrin as a deterrent against mosquitoes and other insects. Scorpions and snakes are often perceived as amongst the scariest creatures in the veld and whilst the majority are harmless, some are deadly. Read our blog post about the deadly snakes and scorpions of southern Africa. Kids are likely to pick up rocks under which scorpions could hide. You must warn them not to do this and always keep a close eye on them when you are in the veld. Make sure they wear closed shoes if they are outside the tent after dark. Keep a close eye on toddlers at all times. You will have to keep a close eye on your kids if you camp in unfenced areas, especially since small children could be easy target for lion and hyena. Once again the most dangerous times are between dusk and dawn. It is best to put your kids to bed early and have a potty in the tent. Keep the tent fully zipped, even on the hottest nights. 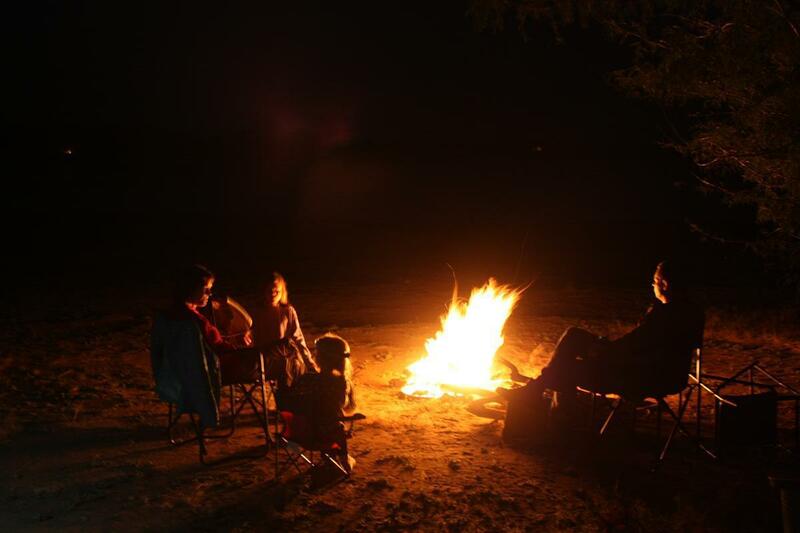 If you would like your children to share the magical campfire and night sounds, they must not wander from the fire. Never leave them alone to do chores if they fall asleep by the fire. Children must be in their tent or at the fire after dark. You have to be extremely cautious around water. Don’t allow your children within 5m of a river or pool as you never know if there are crocodiles lurking in the water. Even during the day you should have a ‘safe zone’ and not let your kids stray more than 20m from you. When you reach an unfenced campsite, you should drive or walk around the perimeter before you let the kids out just to be sure there are no dangerous animals in the bushes. If possible, create some kind of laager with shade netting to protect your camp against predator eyes but don’t let this create a false sense of security. If you allow your kids to sit at the fire, you have to remember that an open fire itself is always a safety hazard therefore you should be extra vigilant. ALWAYS keep a watchful on your kids when you are out in the bush. Read our blog post with tips on how to react around wild animals. Don’t let your kids swim in water that may be infected with bilharzia. Yes most of the tips I can sign blindly. Second trip (Botswana and Zimbabwe) was at an age of 3. Yes we have been more experienced and prepared for remote areas. Changed our own travelling and stayed more nights at same places. Third trip will be at her age of 5. Now she has developed her own mindset and wants to visit already visited places again. 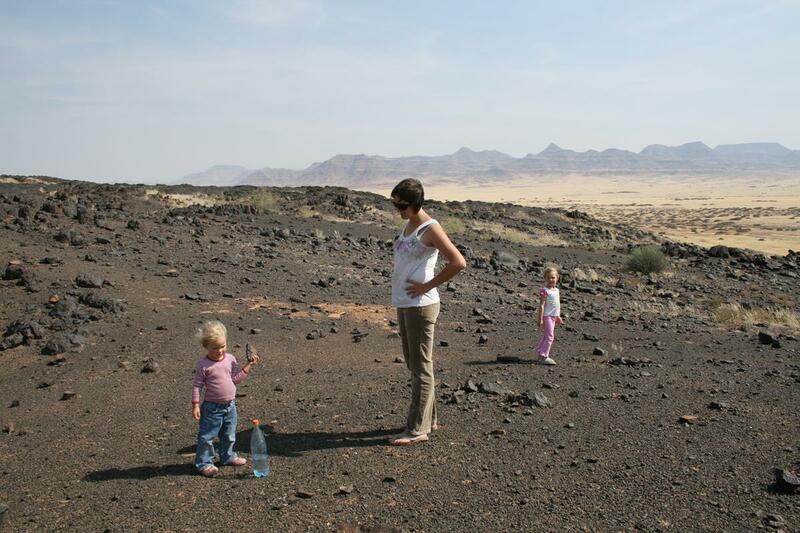 Aim was just to stay in Namibia but as we are parents … So we do a bit of driving into Botswana. Most importent to be mentioned is it is important to garher their requirements as well as telling them what to expect. Very true. We had 9 month baby come with us all the way to Kilimanjaro and back. She learnt to crawl on the trip. And they crawl fast. Caught us a few times unawares. Was a problem at Mana Pools with those hyenas. Thanks again for all your valuable info.